It is a common assumption that you need to avoid fat, whenever you can. But in reality, fat is an essential macronutrient and it is important t for our health. Fatty acids are the building block of our body cells and some of the essential fatty acids can’t be made inside our body. 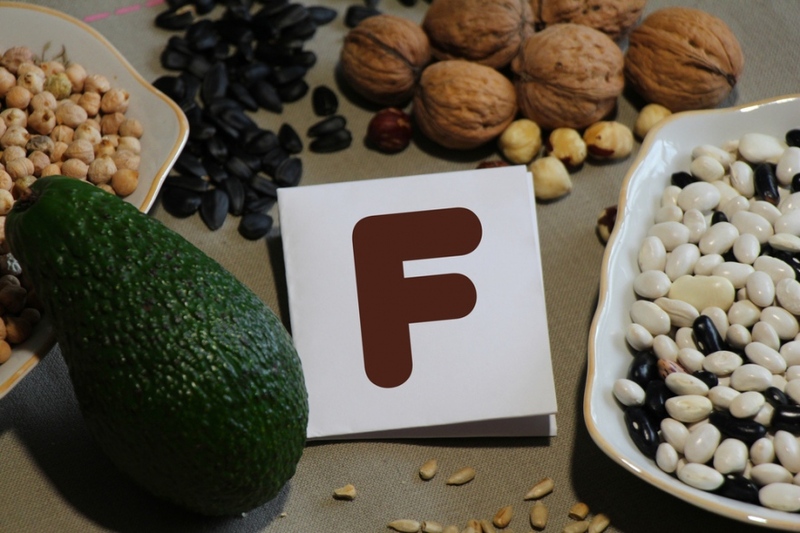 Vitamin F isn’t an official designation, but it is often used to describe essential fatty acids that we need. Polyunsaturated fats should be supplied through our diet and EFAs could prevent many kinds of disorders. As an example, we should be able to improve the conditions of hair and skin, as well as reducing the blood clotting risks. The level of triglycerides and cholesterol can be reduced. We are able to prevent arthritis and reduce blood pressure. EFA may also help to handle other conditions, such as psoriasis, eczema, cardiovascular diseases and candidiasis. They can be found in higher concentration in our brain and the transmission of nerve impulses in our body can be aided. This is essential, if we want to maintain the normal functioning and development in our body. If the level of essential fatty acid in our body is low, we may have impaired ability to memorize and learn. EFA is needed by all cells in our body. They are essential to produce new cells and maintain the health of existing ones. EFA is needed for the prostaglandins production, which is a hormone works as chemical messenger. It also regulates multiple body processes on our body. Essential fatty acids could be consisted of main categories, such as Omega 3 and Omega 6. Omega 3 itself is consisted of EPA or eicosapentaeanoic acid and alpha linoleic. Omega 3 is abundant in fish oil, fresh deepwater fish and various plant-based oils, such as walnut oil, flaxseed oil and canola oil. Omega 6 is consisted of gamma linoleic acid and linoleic acid. They can be found in legumes, seeds and raw nuts, as well as various unsaturated oils, like soybean oil, sesame oil, primrose oil, grape seed oil and borage oil. They can be consumed directly at moderate amount or mixed with food. However, these oils could be vulnerable to high temperature; not only heat can destroy EFA, but may also cause some free radicals. You should avoid any product that is made from hydrogenated or solidified oil, such as margarine. Linoleic acid is useful, but the hydrogenation process could convert it into trans-fatty acid, which is harmful for our body. While fat should represent 30 percent of our caloric intake, about two-third of it should be from EFA. Linoleic acid can be the most essential from all EFA. Fish oil is a good source of Omega 3, especially if it’s made from sardines, herring, menhaden, mackerel or salmon. Flaxseed oil should be rich in Omega 3, potassium and magnesium. It should also provide you with decent amount of zinc and vitamin B complex. Flaxseed has good nutty taste when ground, which can be mixed with many sauces and other dishes. Is White Food Bad For You?